Our guide to easy weight loss and staying safe as you ditch those lbs. Read on to see step-by-step tips to help you on your easy weight loss journey. Realistic goals are achievable and success boosts confidence in your ability to lose weight. A weight loss of 2lbs a week is a safe and realistic target. Furthermore, steady weight loss is more successful in the long-term. If people lose weight too quickly they put the weight straight back on. Stick to 3 balanced meals a day (only include a small snack if you are physically hungry) this ensures blood glucose remains stable throughout the day, preventing overeating and/or bingeing on high sugar/fat/salt/calorie foods which can lead to weight gain. Eliminating grazing will also encourage the body to source energy from stored glycogen and body fat, promoting weight loss. Evenly space your meals throughout the day (leave around 4-6hours between each meal) this helps stabilise blood glucose throughout the day and allows each meal to be fully digested before more food is added. Make time for meals, and take your time eating avoid eating at the same time as doing something else as this can cause you to overeat. Properly chewing your food will help optimize the digestive process, it will mean you properly taste your food and will help your brain register when you are full. Fill half your plate with vegetables (mainly non-starchy) as this will help keep you full without adding lots of calories. Include a small amount of protein with every meal (mainly choosing lean, low sugar versions) including a small amount of protein with every meal will help keep you fuller for longer, preventing overeating in one meal and/or bingeing on high/sugar/fat/salt calorie foods which can lead to weight gain. Choosing leaner proteins e.g. chicken, fish, beans and pulses will avoid consuming too much saturated fat. Choosing low sugar and sweetened versions e.g. natural, unsweetened, yoghurt will avoid consuming too many hidden sugars or artificial sweeteners which can have a negative impact on mood making it harder to lose weight. Include some ‘good’ fats (high in unsaturated, low in saturated fat) as ‘good’ fats are essential to brain structure, making them important for maintaining good mood, which plays a central role in successful easy weight loss. Fat is also important for the absorption of fat-soluble vitamins. Include a wide range of carbohydrate sources, including plenty of wholegrains as carbohydrates are the body’s main source of energy and are important for brain function, mood and ensuring good sleep. Good carbohydrate sources include: grains, fruit, vegetables, beans and pulses. Try to pick wholegrain versions as much as possible as these contain up to 75% more nutrients than refined cereals, including: fibre, B vitamins, folic acid, essential fatty acids, protein and antioxidants. Make sure you get 5 different portions of fruit and vegetables per day as fruit and vegetables are packed full of essential vitamins and minerals important for normal body functioning and are a good source of fibre important for good bowel health. Control your portion size as this is essential for successful easy weight loss. Tips for portion control include: unlimited non-starchy vegetables, palm-sized portion of lean protein, handful of wholegrains or starchy vegetables, thumb-sized portion of fat. Keep well hydrated aiming to drink two litres of fluid per day, as thirst can often be confused with hunger resulting in overeating and weight gain. Avoid drinks packed full or sugar or sweeteners as these lead to sugar cravings, and avoid too much caffeine as this increases irritation, making it harder to make healthy food choices. Moderate alcohol intake as alcohol is often packed full of empty calories. It is also a depressant and so can affect mood making it harder to lose weight. Making sure you get enough sleep is essential to long-term easy weight loss. A lack of sleep leads to more ghrelin – the hormone that signals hunger, and less leptin – the hormone that signals satiety. It also caused disrupted glucose and insulin metabolism which will hinder you in your quest for easy weight loss. Moving your body around means using up more calories than if you were sitting down. The more physically active you are, the more lean mass you will accrue, which increases your resting metabolism. Slowly build on the amount of activity you do so that it becomes part of your daily routine. Aim for at least 150 minutes of moderate aerobic activity a week, and include some strength exercises. Find out what exercise you enjoy, whether it be walking, swimming, going to the gym, or even running. The more you enjoy the exercise the less of a chore it will be! Minerals and trace elements are important for long-term weight loss, as they play a role in promoting good mood, stabilizing blood glucose, increasing energy levels and reducing cravings. Good mood is vital for successful weight loss. Research shows that low mood causes people to eat comfort foods to take away negative feelings. Several minerals and trace elements including: magnesium, chromium, lithium, selenium, zinc and iron, have been shown to play an important role in promoting good mood. Maintaining a stable blood glucose throughout the day aids healthier food choices, as crashes in blood glucose will lead to increased cravings for all of those bad. The trace element chromium is known to enhance the action of insulin; therefore, it plays a role in helping stabilise blood glucose. Magnesium, phosphorus and manganese also have a role to play in helping stabilise blood glucose as they are required for the activity of different enzymes during energy metabolism. Having low energy levels leads to increased cravings for highly refined carbohydrate, high sugar, and high fat foods. Energy is obtained from carbohydrates, fats and protein, by several pathways involving numerous enzyme catalysed reactions. These enzymes require both minerals and vitamins for their activity. Minerals and trace elements involved in energy metabolism include magnesium, phosphorus and manganese. Research suggests that sometimes we may overeat in part because our body is deficient in minerals and trace elements. For example, craving chocolate is associated with magnesium deficiency and craving high sugar foods can be the result of deficiencies in chromium, carbon, phosphorus and sulfur. Today modern intensive agricultural methods have left our soil mineral poor, and this in turn has impacted the food we eat making the mineral content much lower than it once was. Data collected between 1940 and 1991 comparing the mineral content of 27 varieties of vegetable, 17 varieties of fruit, 10 cuts of meat and some milk and cheese products shows a significant loss of minerals and trace elements in these foods over that period. 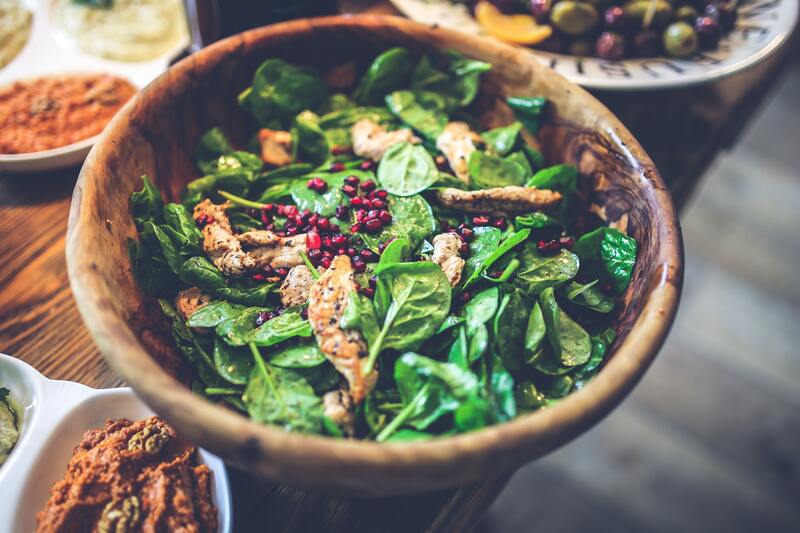 For example, the iron content of spinach decreased by 60%, and the copper content decreased by 96%. In addition to the overall mineral depletions recorded, significant changes in the ratios of the minerals to one another were also shown. Given that there are known critical ratios of certain minerals within our physiology this could have a significant impact on our bio-chemistry. Quinton is a 100% natural complete mineral supplement. It contains all the minerals and trace elements the body needs in the correct proportions as it almost exactly mirrors human blood plasma. Harvested from rich plankton blooms, whereby phytoplankton interact with zooplankton to release a nutrient rich mix of bioavailable minerals, amino acids, nucleic acids, antioxidants, polysaccharides and fatty acids, it is the most natural way of getting all minerals and trace elements in a highly absorbable form.